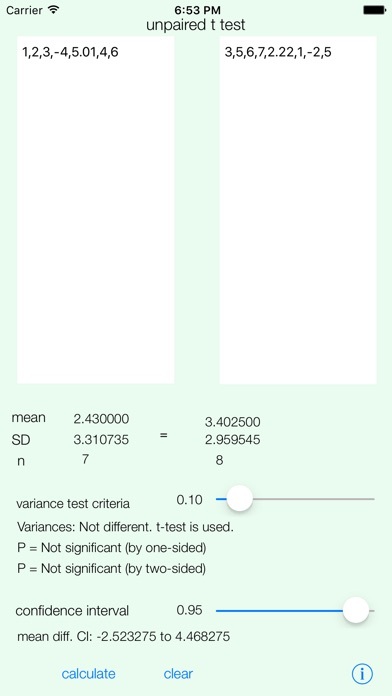 A tool of statistics for scientists, doctors, researchers, students, etc. 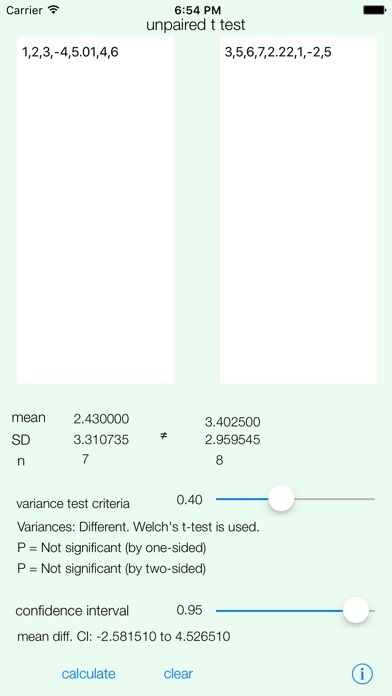 This App handles unpaired t-test and Welch's t-test, that are automatically selected by variance comparison test. The confidence intervals of the difference of two averages are also provided. This is a useful test for the comparison of mean for two independent groups. At first, the variance (=standard deviation^2 = SD^2) of the data are tested. 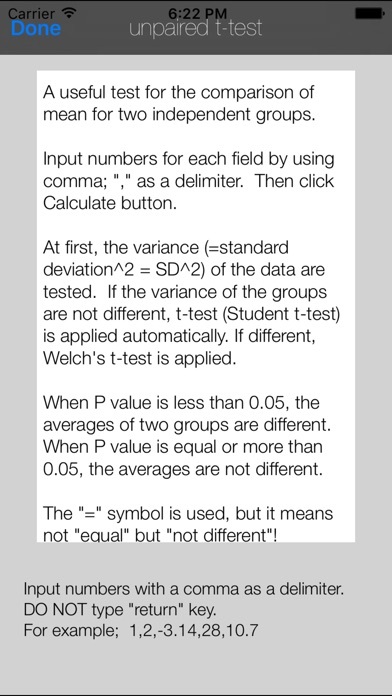 If the variance of the groups are not different, t-test (Student t-test) is applied automatically. If different, Welch's t-test is applied. When P value is less than 0.05, the averages of two groups are different. When P value is equal or more than 0.05, the averages are not different. If you like to know the confidence intervals of the mean difference, adjust the control bar. By default, variance criteria = 0.1, confidence interval=0.95. The total number of elements should not be over 500.